The Hoysala empire was a prominent Southern Indian Kannadiga empire that ruled most of the modern-day state of Karnataka between the 10th and the 14th century. One of the kings of the kingdom Ballala, once got lost in a jungle. In the absence of any communication with his kingdom’s administration, he wandered across the jungle to find his way out. He began tiring off while hunger was ruling him. He then came across a poor old woman who offered him some boiled beans. As an expression of gratitude towards the kind woman, the king quoted the place as ‘bende kaalu ooru’ which in Kannada means the city of boiled beans. The space was already a human settlement then and there are other versions of the stories as well related with the etymology of the city's name. The modern day construction of the city can be said to have began by a feudatory ruler under the Vijaynagar empire Cempe Gowda who once while on his hunting boults saw a hare chasing his dog and he termed the space as ‘gandu bhoomi’ which literally means a heroic place. He built a mud fort in ‘gandu bhoomi’ in 1537 & built the little towns of Balapet, Cottonpet and Chickpet inside the fort premises. His son later erected four watch towers to mark the boundaries of the then Benguluru which can be found till today in the heart of the present city's boundaries. Moving ahead in the historic course of the human settlement, in 1638, Shahajirao Bhosle of the Maratha empire captured the city which later went under control of Aurangzeb’s army by 1687 who sold the town to Wodeyars for a sum of Rupees 3 lakh. Wodeyars built the famous LalBagh then in 1759 which is one of the most prominently laid out gardens of the city which later contributed in idealising the city as a garden city in the times to come. Wodeyars then gifted the city to the army of Hyder Ali who converted the city into an army town and when Tipu Sultan died in the 4th Mysore war, the Britishers returned it to the Wodeyars. British citizens continued living in the city from then on and the city saw its first General Post office in the beginning of the 19th century and the Army Cantonment was established in 1809. British in 1831 took over the administration of the Mysore kingdom alleging misrule and the city began blooming with modern facilities like the railways, telegraph, postal services and police departments. The first train was flagged out of the city in 1859 and the city saw its first motorcar with the onset of the 20th century. 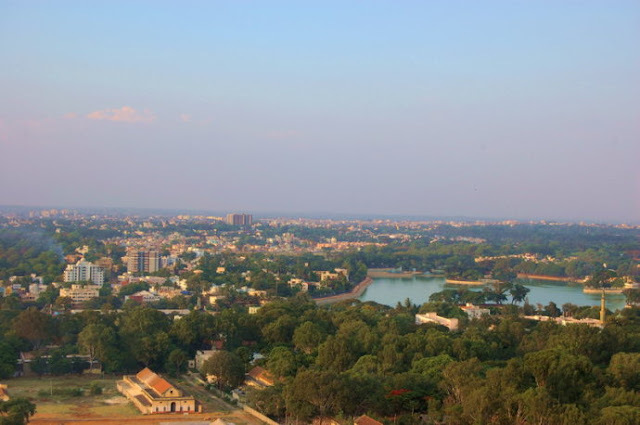 Bengaluru was one of the very first Indian city to get its electricity from hydro power. In 1881, the British returned the city to the Wodeyars and Dewans like Sir Mirza Ismail and Sir M Visvesvaraya helped the city to attain its modern outlook. The area of Bengaluru in 1941 was 69 sq. km. with a population of just over 4 lakh which expanded a little over three times in terms of area to 212 sq. km. in 1991 while the population increase was over 10 times to over 40 lakh. The area of the city as per the census of 2011 was recorded to as 716 sq. km. with a population of around 90 lakh. In terms of the population growth of Indian cities for the decade of 2001-11 Bengaluru is way ahead from it’s nearest rival of Delhi with growth rate of Benguluru being over twice than that of the city of Delhi. It was around 47% for Benguluru, around 21% for Delhi and 4% for the city of Mumbai. Around 15% of the total population of the Indian state of Karnataka lives in its capital city of Bengaluru. 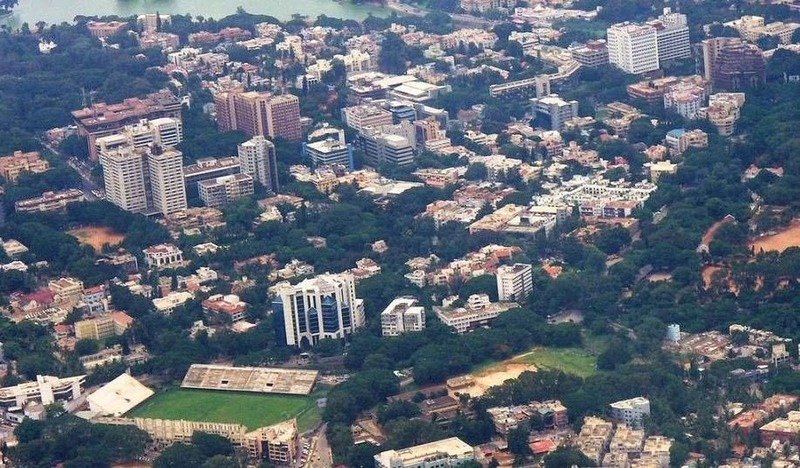 Bengaluru has 500,000 technology workers, about 20 per cent of India's total, according to the government. They mainly work in Whitefield, once a settlement for Britons - the country's former colonial rulers. The city's low wages and temperate climate have helped make it the world's fourth-largest technology cluster after Silicon Valley in the US, Boston and London, according to a study by Ernst & Young. The elevation of the city is 920 m above sea level which imparts the city with its mild climate making it one of the favourites to work for the working professionals. 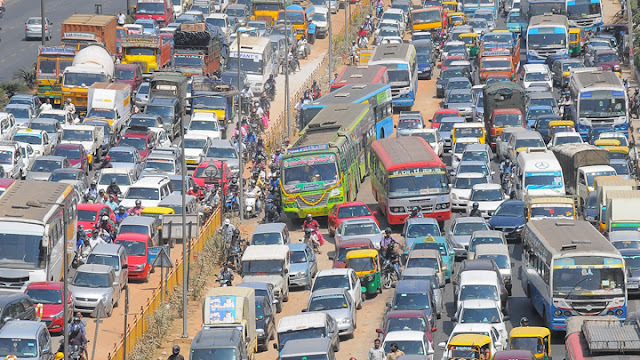 Rising levels of traffic mobility has increased the pace to the city’s life but also has helped in degrading the air quality making it the second most polluted city in India after Delhi in terms of the air quality. The increasing environmental related problems like increasing waste consumption, water scarcity, noise pollution, etc. In a survey conducted within the city it was found that 25% of the children are exposed to environmental pollution decreasing their capability to utilise their capabilities to the maximum of their potential. One of the most important issues of the city is the ever increasing rate of consumption of waste per capita which was found around 500 grams per capita per day in 2014. The waste consumption of the city was around 650 tonnes per day in 1988 which increased to around 1450 tonnes per day in 2000. 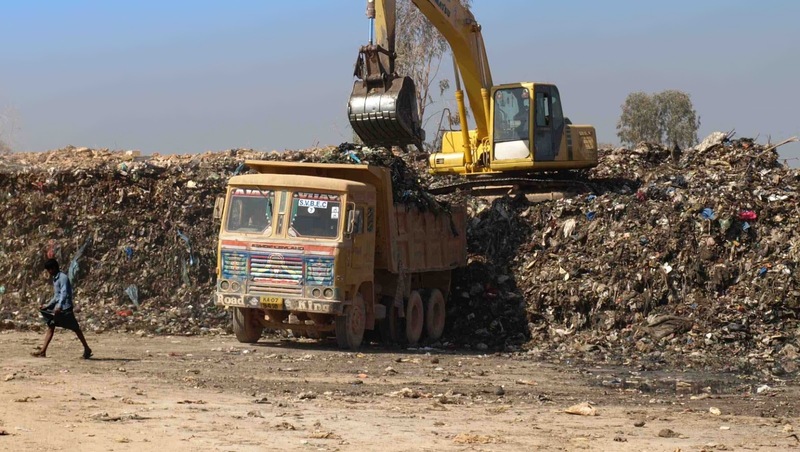 Bangalore generates around 4500 tonnes of garbage everyday in 2016 and the majority of it was being dumped in the landfills at the outskirts of the city at three prominent sites of Mayallipura, Mandur and Doddaballapur until when it was blockaded by the local communities of the periphery after suffering from the declining environmental quality for over 10 years. 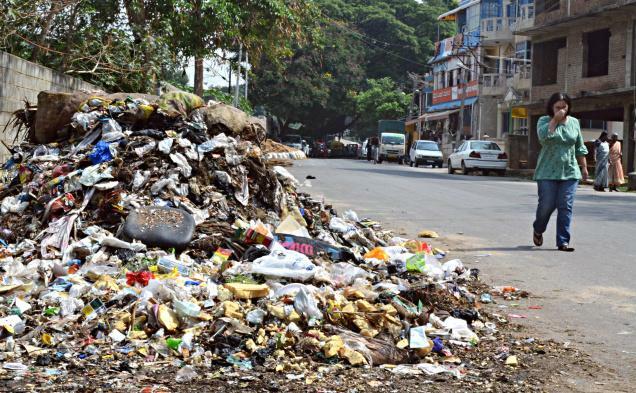 The garbage began coming on the streets then in the absence of a well functioning solid waste management system. Besides strengthening the waste management system, there is also a need to create awareness amongst the citizens to utilise commodities in such a manner that it decreases the waste production above everything else. The accelerated increase in the population growth rate of the city will only help in worsening the situation otherwise and as quoted in some articles the Indian version of Garden city may get turned into a ‘Garbage City’. Bangalore was idealised as a garden city which gives importance to its green spaces and natural system but it has found itself indulged in various environmental issues especially over the last decade. Various steps are being taken to sort out the rising issues but the adoption of the sectoral approaches hasn’t proved much beneficial since now. A city is a space where human aspirations are fulfilled in partial if not in full and not the basic needs and requirements of them are curbed in the lights of economic development. The city contributes a worthy portion to the nation’s economy and hence the city’s long term future is needed to be decided by the concerned authorities in a more clear manner based on the inter-dependent nature of the urban ecosystem.